Fleets use on-site oil analysis to reduce downtime and save money. This article highlights several different fleets including a municipal utilities fleet, a sheriff's fleet, a sanitation fleet and a city fleet, and how oil analysis benefits their maintenance activities. One of the biggest costs for the municipal utilities fleet was the labor cost associated with performing the oil changes. Safely extending oil change intervals saved them enough money to pay off the cost of the on-site oil analysis equipment in two years. For the sheriff's fleet, the biggest cost was the cost of having law enforcement officers not out on the road doing their jobs. Bringing a vehicle in for an oil change often required paying officers overtime and took away from their more important activities. Extending oil change intervals saved on this cost. Extending oil drain intervals, and realizing the associated cost savings, is the number one driver for bringing oil analysis on-site. Having equipment on site allows fleet maintainers to conduct more frequent oil analyses giving them the confidence to extend maintenance intervals without voiding warranties or potentially damaging vehicles. It also allows them to find problems they may not have found otherwise. One of the fleets was able to diagnose problems, including an injector that was leaking fuel into a vehicle and high sodium content that was traced to an exhaust gas recirculation system failure. Finding these problems early saved money by allowing the fleet manager to fix the problems before they led to more serious failures. The biggest cost I have in my fleet is my deputies who drive the cars. Every time they have to bring the car in for an oil change or maintenance, it’s someone off the street, or someone being paid overtime,” said Francis Hart, fleet services administrator. 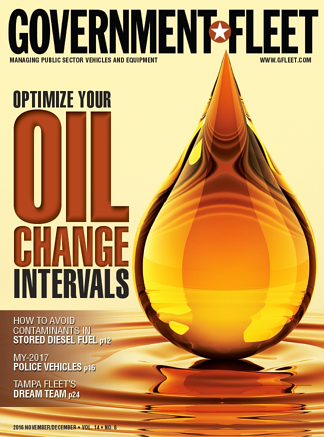 This article discusses how various fleets are currently using oil analysis to extend oil change intervals, reduce downtime, keep vehicles on the road, and improve maintenance shop efficiency. The article also examines the return on investment of an on-site oil analyzer based on actual data from the fleet managers. To download the full article, click here, or click on the button below.